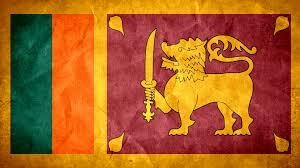 Are you looking for a Sinhalese translator in Sydney? We are able to professionally translate all documents from Sinhalese to English and English to Sinhalese. Over the years, we have helped hundreds of clients just like you with their Sinhalese translation services in Sydney. Our certified Sinhalese translators in Sydney are some of the most sought after in Australia. Our Sinhalese translators in Sydney are NAATI Accredited and suitably qualified professionals who have worked for many years in the translation industry in Sydney. We can translate all documents including Sinhalese immigration documents for Department of Immigration and Border Protection, legal documents, medical journals and reports, brochures and flyers and engineering and mining manuals. Are your Sydney Sinhalese translator’s NAATI accredited? Absolutely! Our Sydney Sinhalese translation service is 100% NAATI accredited and certified. How soon until I receive my completed translation? Most of our Sinhalese translations are completed within 2-3 business days. We will send the draft translation back to you via email for your approval. Once approved, we will send the certified translation to you via email and hard copy. Please allow an additional 3-5 business days for postage (by Regular post). If you need your translation more urgently, please ask us about our express Sydney Sinhalese translation service. Thank you so much for your fast translation service and friendly customer service. I must say, I was very surprised to receive my translation back so quickly. Thank you for helping me with my translation. Thank you for delivering the translation on time. These days, it is rare quality for a person to honour his promised words. I have my highest respect for trustworthy people. I do not often say this, but it is a privilege to be your customer. For translation of Sinhalese documents into English, the majority of 1 page documents used for immigration purposes are deemed as ‘standard documents’ and are priced at a flat rate per document of $88.00 per page. Please note that the pricing below is indicative only and you will need to send through scanned copies of your documents via our Enquiry Form in order to receive a firm quote for our Sinhalese translator service. Translation of ‘non-standard’ documents are priced at a per 100 word rate. The pricing can vary depending on factors such as delivery schedule, language and availability. For a quote, please complete the enquiry form and attach your documents and we will gladly provide you with a firm quote.